On March 22, 2014, Cartwheel Initiative held its first creative media workshop in New York organized in collaboration with Children’s Museum of the Arts (CMA) and Josephine Herrick Project. In this sequel to the “I Have a Voice” workshops in Sri Lanka, a small group of international students displaced from their home countries (and currently in the US) who attend The International High School at Union Square (IHS) had the opportunity to express their voice through art during the hands-on workshop held at CMA. These incredible teenagers have overcome extreme transitions, but with mementos and memories they carry with them from their home country, they have strong aspirations and goals for a new life in America. The young artists were asked “what do you want to do or be in America?” From there they created paper puppets, recorded their own voice as narration and had first-hand experience animating their American dream by using iStopMotion software. Both IHS and CMA provided teachers to create a comfortable environment in addition to helping the students think visually about how they want their voice to be heard. These kids are very passionate and hold high ambitions for the future, including college, sports, banking, business and art. One teacher asked Ibrahim, a 16 year old boy from Guinea and aspiring businessman, “What does the view look like from your future office window?” Ibrahim’s animated video was of him in an office with an even view of a New York water tower, high on top of a skyscraper. In addition to focusing on their goals, the students talked about memories they brought with them from their home countries. A photo of family and friends was the most common item in tow to America. Penpa, a seventeen year old girl from Nepal, said the thin red string that hung around her neck is the most important thing she brought with her because it symbolizes her religion and strong faith. A few of the kids spoke about leaving their loved ones behind in order to create a new life in New York, where they have encountered dangerous situations and long for familiar faces, yet are hopeful for the future. They also did portraits of each other. The shy nature of the students is understandable considering most of these students come from places where they are simply seen and rarely heard. In spite of the challenges of learning a new language, being in an overwhelming city and leaving home behind, each student has a story to tell, and this artistic workshop allowed their voices to be heard. JHP facilitated the workshop with IHS and provided photographs to Cartwheel documenting the event. 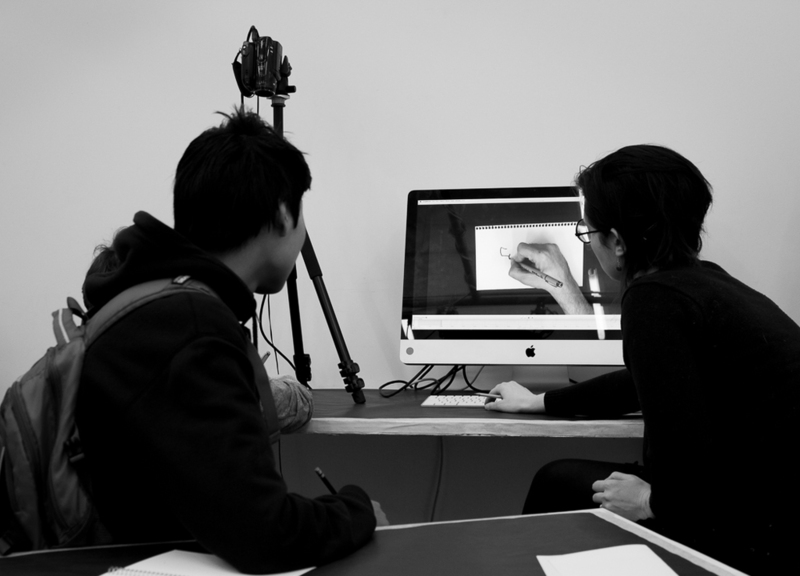 Stay tuned for more videos, interviews and short films made by the students … they will be posted soon! Older PostAN EXCITING START TO 2014!